Choosing the right laser hair removal provider is the second most important decision you will make concerning your treatment. The most important decision was deciding to have the hair removal treatment. It is best to choose someone, preferably a doctor, that does laser hair removal on a regular basis. Often the best doctors to perform the procedure specialize in plastic surgery order dermatology. They usually have the latest laser devices and are more knowledgeable on the procedures. A good way to find a list of practitioners in your area is to do an online search. 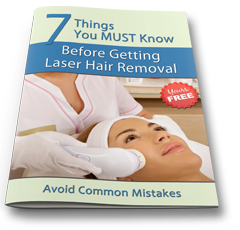 This will result in a list of laser hair removal specialists for you to consider. Some may be doctors that perform the procedure themselves, and others may be doctors that oversee technicians that do the procedure. While searching online it is often possible to find reviews from previous clients concerning specific practitioners and treatments. After you have narrowed down your list to several choices of laser hair removal specialists, the next step is to schedule a preliminary consultation. The purpose of this consultation is for you to further assess your choices and the quality of each one. Once you arrive at the office you will know right away if it is the type of setting where you would want to have your laser hair removal treatment. The office should meet with your specifications of cleanliness and orderliness. The staff should seem helpful and friendly when you arrive. When you have your meeting with the practitioner, you should be prepared to ask several questions. 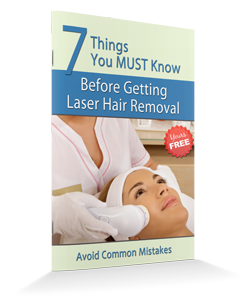 You will want to find out the amount of experience he has had with laser hair removal. To do this, you may want to ask him the number of laser hair removal procedures he has completed, how long he has been offering these services, and where he was trained in this specific technology. It is acceptable to ask to see his medical certificates and credentials. This way you will determine his specialty, and whether or not he is board certified. It is also good to find out if the practitioner owns his own lasers. If you are happy with how your preliminary consultation has progressed to this point, you may want to ask the practitioner the details concerning the specific laser hair removal procedure that you are interested in having done. You should ask him what kind of pain relief is available during the procedure, as most people do experience some degree of discomfort. If you have a low pain tolerance, this is especially important. Ask the practitioner how many treatments he feels will be necessary for your laser hair removal and determine whether his treatment schedule fits into your time from. It is also important to find out the cost of the laser hair removal treatments and the types of payments that this particular office accepts. You should repeat the preliminary consultation with as many practitioners that you feel are necessary until you find one that makes you feel completely comfortable and fits your price range. Taking the time needed to choose the right practitioner for you is the first step to having successful laser hair removal treatments.